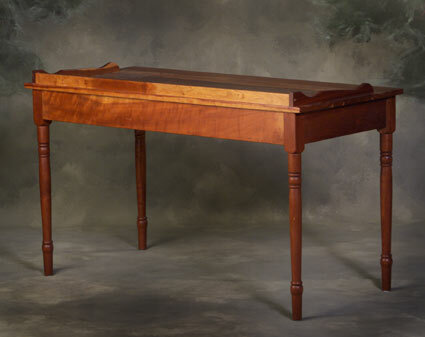 You will be able to spread out a days work on this large cherry table that also leaves room for your desk. Handsome railing on three sides allows this piece to serve even at room center. This table is 28 ½” high, 56” wide, and 24” deep.